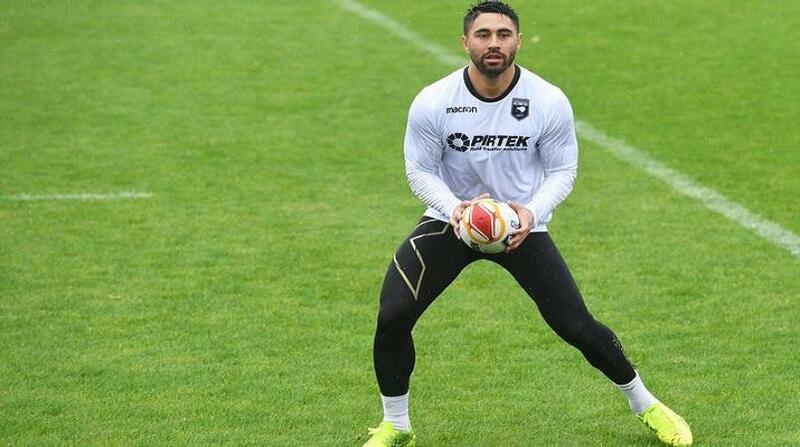 A fresh rugby league environment and return to the traditionally adventurous Kiwi style has done wonders for Shaun Johnson, who appears set to guide New Zealand through their World Cup opener against Samoa. Johnson endured a miserable back-end to the 2017 NRL season, injuring his knee and missing six games as his Warriors outfit missed the finals. But with almost two months separating his last Warriors match and Saturday's clash with Toa Samoa, the star halfback said he felt like a new man. A host of injuries and squad defections - most prominently Jason Taumalolo - had allowed coach David Kidwell to start afresh with combinations. With Kieran Foran out injured, Johnson will likely start in the halves alongside in-form Cowboys young gun Te Maire Martin. The backline and second row have undergone similar renovations. The 27-year-old Johnson, with 21 Test caps to his name, said he'd benefited from being in a Kiwis environment full of new faces. And, with his body nearing 100 percent fitness, he hoped to be at the forefront of the Kiwis' attempts to play expansive, exciting football - in stark contrast to the Warriors' cautious style under Stephen Kearney. It would be important for the sport's popularity in rugby-mad New Zealand, where Johnson's Kiwis have not played for three years. "The habits you get into in club-land, you get stuck into certain ways with how each team wants to play, but you can't just do that when you come into this environment because we come from different systems," Johnson said. "Results aside, we want to play in a way that'll get crowds on their feet [and] get kids talking about what happens, make footy fun to watch. "To try and inspire some kids to take this path, instead of other codes." Johnson can look back upon both bitter and fond memories in a black and white jumper, having lost the 2013 World Cup final to Australia but played a starring role in New Zealand's 2014 Four Nations triumph on home soil. Yet the Auckland native said the book was closed on both experiences. Kidwell's set-up was totally different to that of predecessor Kearney, as was his squad - including five potential Test debutants. "I wouldn't say lessons, but for me, experiencing what we were able to in 2014, that really opened my eyes - if we perform, how much the country gets behind us, what it does to the community, the kids," Johnson said. "It just makes me hungry to want to experience that again. "At [the Warriors], we haven't been able to deliver in that sense, so we get an awesome chance to do that in what, in my eyes, is the pinnacle of our sport." New Zealand last won the Rugby League World Cup in 2008.